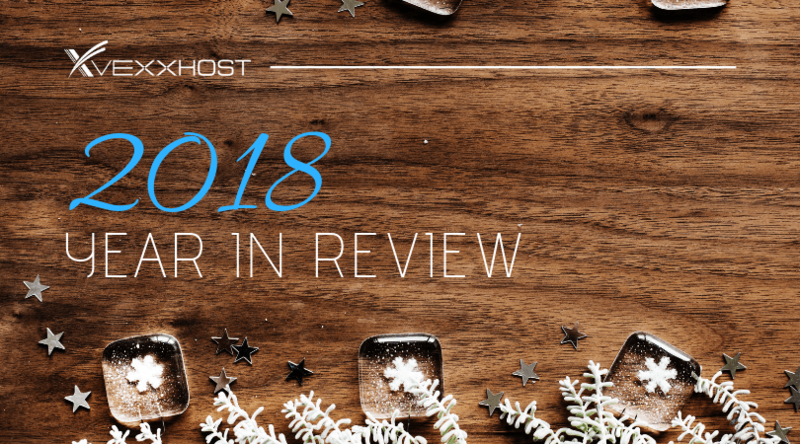 2018 has been both a busy and rewarding year for VEXXHOST. Our company has experienced quite a bit of growth, but ultimately we pride ourselves on maintaining the same high standards when it comes to servicing our clients and giving back to the open-source community regardless of size and time. Our year started with an upgrade to OpenStack’s first update of the year, the Queens release. This upgrade made it possible for users to take advantage of the latest OpenStack services. The release also added native concepts from Kubernetes such as pods, and Multi-Attach in Cinder block storage. Shortly after, towards the end of May, VEXXHOST sponsored and attended the OpenStack Summit in Vancouver. During the event, our CEO, Mohammed Naser, held a workshop with Paul Belanger as part of the OpenDev CI/CD curriculum. This beginner level workshop focused on getting attendees familiar with Zuul. Mohammed also presented a demo during the Keynotes showing OpenLab, Terraform, Cloud Foundry and others running on our OpenStack public cloud. Additionally, the summit marked the 1.0 release of Kata Containers, a project that is tested and sponsored by VEXXHOST. The announcement was followed by a live demo from both Eric Ernst and Anne Bertucio that ran on our public cloud. In August, we unveiled our latest addition to our public cloud regions with a data centre in Silicon Valley. This region furthered our goal of continuing to deliver highly performant, flexible and competitively priced solutions to companies requiring their data to remain within the United States. The centre is equipped with nested virtualization, 40Gbps of internal networking, (which is one of the fastest connectivities available), access to the 10Gbps public internet and high-performance triple-replicated and distributed SSD storage. VEXXHOST then announced our offering of the only Arm-based VMs in the industry with OpenStack® API access. This architecture was initially exclusive to VEXXHOST and gives users access to virtualized 64-bit Arm hardware using our existing OpenStack based public, private, and hybrid clouds. “Arm is committed to enabling developers with highly performant and efficient technologies,” said Mohamed Awad, vice president of marketing, Infrastructure Line of Business, Arm. “The collaboration with VEXXHOST is a significant step forward in delivering best-in-class architectures for OpenStack and further strengthens support for Arm-based solutions across the ecosystem.”Through this addition, we were able to offer our users the choice between launching instances with the existing Intel x86 architecture or the new Arm-powered virtual machines. Our next endeavour was upgrading to Rocky, the second and final release from OpenStack for the year. In fact, VEXXHOST was the first cloud provider to have Rocky up and running on the same day it was released. Some of the specific updates provided by this release are FFUs (Fast Forward Upgrades), a ramdisk deployment interface, BIOS setting management and the functionality to recover machines from experienced power faults. As we prepared for the upcoming OpenStack Summit, VEXXHOST launched new enterprise-grade GPU instances. This new GPU offering includes fresh instance types and flavours, intended to fit the market demand for high-performance cloud computing. They include up to 245,760 GB and uses enterprise-grade NVIDIA Tesla K80 accelerators, providing 12 GiB of memory and 2,496 parallel processing cores. The hardware offering also includes PCI Express and NVMe SSD local storage, making this already powerful solution incredibly fast and performant, in addition to differentiating VEXXHOST from other providers. VEXXHOST also took the opportunity to sponsor and attend the OpenStack Summit in Berlin. While we were there our CEO, Mohammed Naser, participated in two Keynotes over the first and second day of the event. In one, he, along with fellow industry experts, gave an AI demo running on the newly announced VEXXHOST GPU instances and provided an update on OpenStack in the other. Mohammed also took part in the Kubernetes in the Real World panel, discussing Kubernetes and their application in production. On the final day of the event, there was a session on Multi-cloud CI/CD with OpenStack and Kubernetes, focusing on the growing need to move workloads closer to customers. By combining the use of multi-cloud, Kubernetes and OpenStack, the demo portion, (running on one of our clouds), showed how this issue can be resolved. By early December we announced our new involvement with both the Linux Foundation and the CNCF as Silver members. These incredible foundations continue to play integral roles within the open source community and VEXXHOST is honoured to join and contribute to this journey. Jumping into our role as members, VEXXHOST then sponsored and attended KubeCon + CloudNativeCon North America in Seattle. During the Booth Crawl that took place on the first day of the event, the VEXXHOST team served up some popcorn to all hungry attendees and commemorated the event by giving away “I ❤ K8s” memorabilia. Kata Containers, one of our open-source partners and a project we take pride in donating to, was also in attendance. We won’t soon forget the incredible activities either, such as the All-Attendee Party that was hosted at the Space Needle, the Museum of Pop Culture, and Chihuly Garden & Glass! Finally, as we attended our first KubeCon + CloudNativeCon, we were proud to unveil and offer Certified Kubernetes based on the certification of the CNCF. The purpose of this certification is to aid businesses when it comes to selecting the right vendor for their specific operational and production needs. “To be able to offer Certified Kubernetes is a significant achievement and means that VEXXHOST has met the high standards and required qualifications of the CNCF. We’re proud to be able to offer expertise and services to our clients that are backed by organizations of their quality.” Says VEXXHOST CEO, Mohammed Naser. As this exciting year comes to a close, we look forward to many new adventures and opportunities in the year to come. From all of us at VEXXHOST, we wish you and yours a happy and prosperous New Year, and we hope to see you soon!